It’s Memorial Day here in the United States, which, as longtime readers of the site already know, means we’re taking the day off from Newswire for some rest and relaxation. 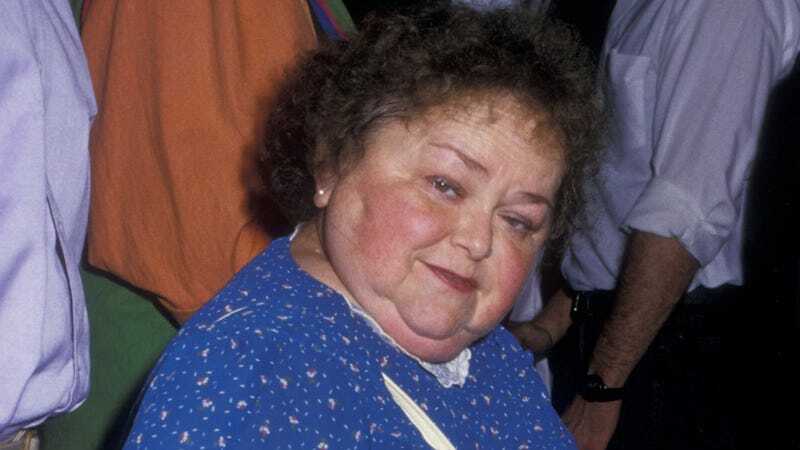 It’s also the birthday of Zelda Rubinstein, the beloved 4'3" character actress with the childlike voice famous for her role as spunky-yet-motherly medium Tangina in the original Poltergeist trilogy. She’s an inspirational figure, a tireless AIDS advocate—a cause that cost her work in Hollywood, by her own admission—and spokesperson for little people (her preferred term) in Hollywood, which she took up after being disgusted by the treatment of the short-statured actors on the set of the Chevy Chase/Carrie Fisher movie Under The Rainbow in 1981. (“It’s absolutely despicable,” she said. “You’re not an actor if you’re just a person that fits into a cute costume. You’re a prop.”) She later founded a theater company, the Michael Dunn Memorial Repertory Theater, whose members were all little people. She had a degree in bacteriology, and a stable career as a medical technician that she gave up in her mid-40s to pursue her dream of becoming a full-time actress. Rubinstein died in 2010 at the age of 76, but the way she says “Carol Anne” in Poltergeist is immortal. We’ve also got some non-Rubenstein content for you on the docket for today, including a radical proposal on the possibility for a good Super Mario Brothers movie, and a look back at the best songs of 1995 that didn’t make the Billboard Hot 100 in our regular Off The Charts feature. We’ll see you back on the Newswire tomorrow morning, but until then—go into the light. No, really. A little sunshine would be good for you.